This 2 bedroom house is located in Le Clos-Cadot- L'Esperance and sleeps 5 people. It has WiFi, a garden and barbeque facilities. The house is within walking distance of a beach. Aquarium de saint Malo 4.5 km, Dinard 10.5 km, Dinan 28 km, Mont Saint Michel 45 km, Barrage de la Rance 8.5 km.. The agent describes this house as an ideal holiday rental for the summer holidays. It is also good value for money. 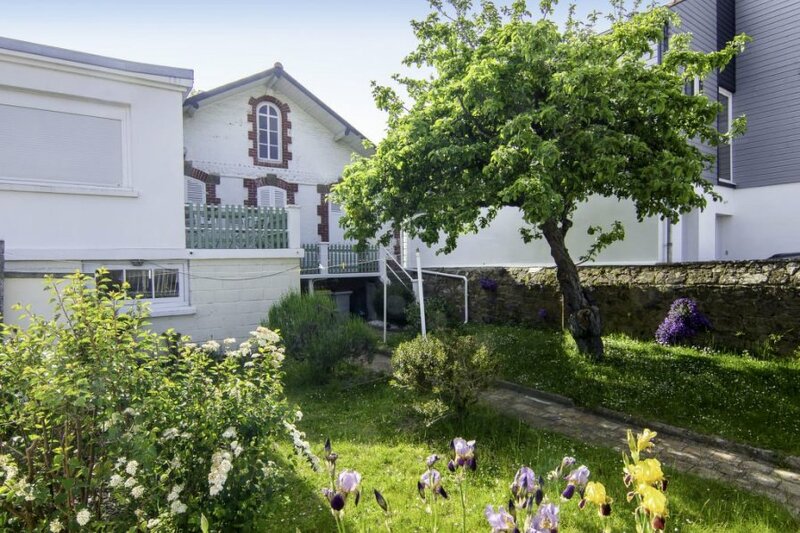 This house is located in Le Clos-Cadot- L'Esperance. The nearest airport is 78km away. It is set in a very convenient location, just 700 metres away from a beach. The house has free wireless internet. The house is well equipped: it has a dishwasher, a microwave, an oven, a washing machine and a freezer. It also has a BBQ, a balcony and a garden.